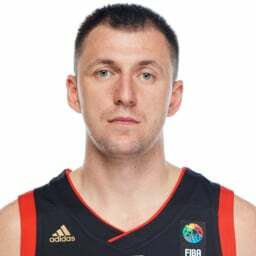 PBC Lokomotiv Kuban signed 32-year-old shooting guard, captain of the Russian national team Vitaly Fridzon for two years. Vitaly Fridzon’s professional career started in Tolyatti in 2001. He played for Standart till 2004 when the 19-year-old shooting guard was signed by Khimki-2. In his first season for the Moscow Region, Fridzon played in 66 games and averaged 12.7 points and 3 rebounds. Next year, Vitaly played for the national team and soon was awarded the Best Young Basketball Player of Russia. Fridzon played for Khimki 9 seasons in a row. 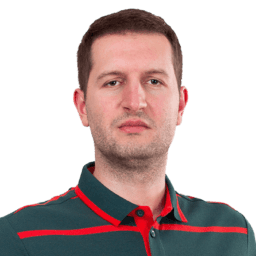 He won the Russian Cup, silver medals of the Promo Cup of the VTB United League, the VTB United League, and EuroCup with the team. In 2013, Fridzon joined CSKA Moscow. In his first season for CSKA, he played in 60 games in the VTB League and Euroleague, averaging 15.6 points. Vitaly played for CSKA for 5 seasons. He is the five-time champion of the Russian Championship and the VTB United League and the winner of Euroleague. Vitaly Fridzon is a participant of the Olympic Games in Beiging and the bronze medal winner of the Olympic Games 2012 in London. He is also the best shooter in the VTB United League’s history. – I’m happy to be a part of Loko. I know that the club has been interested in me for a long time, but now the time has come. I like Lokomotiv very much, know the head coach well, and I think we will work it out. Moreover, fans are fantastic in the South. It’s a big pleasure to play for the national team in Krasnodar. I’m happy that Basket Hall is my home arena now. I’ll do my best to help Krasnodar to achieve set goals. – Vitaly Fridzon needs no intoductions. He's an experiecne Russian player with strong character, who always plays to full extent. Fridzon is a great shooter from downtown and his three-point buzzers made his teams win in the end many times. We are happy that Vitaly will spend next two seasons with us.